Google Cloud is a cloud platform from Google. It offers several services for computing, storage and application development that run on Google’s hardware. In this post we will learn together how to create and launch a NodeJS application with Google Compute Engine, but before we begin please make sure you already have account on google cloud platform. 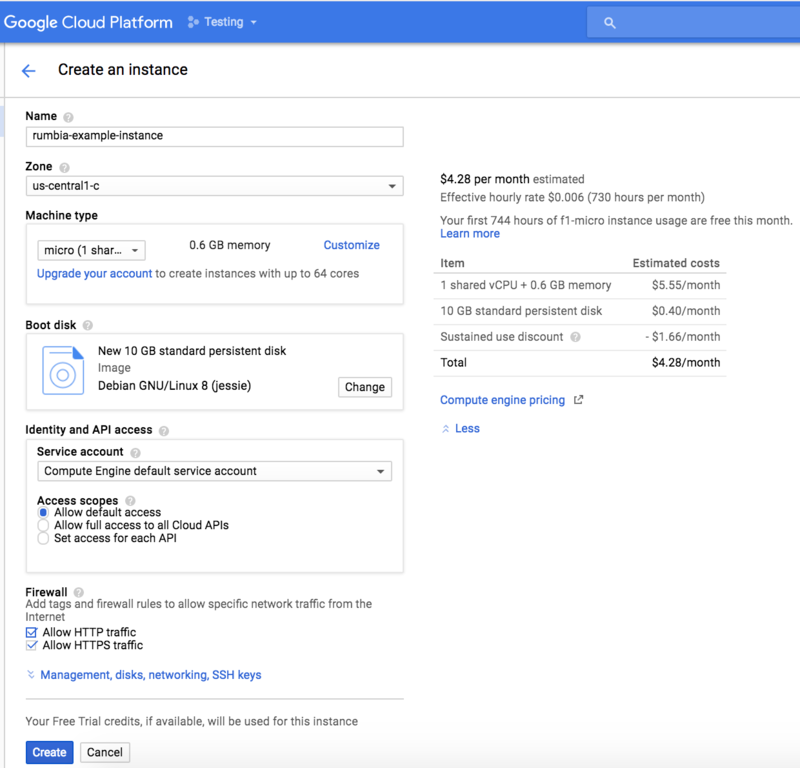 If you are planning to learn about how to use google cloud features or you just want to try it, at the moment google offer trial version that give USD 300 of credit for the next 12 months (credit card required), you can read the detail here. 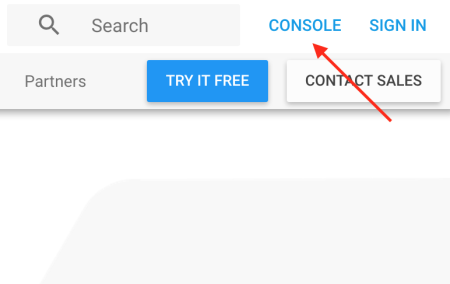 Open google cloud homepage with your favourite browser then click console button at the top right corner. 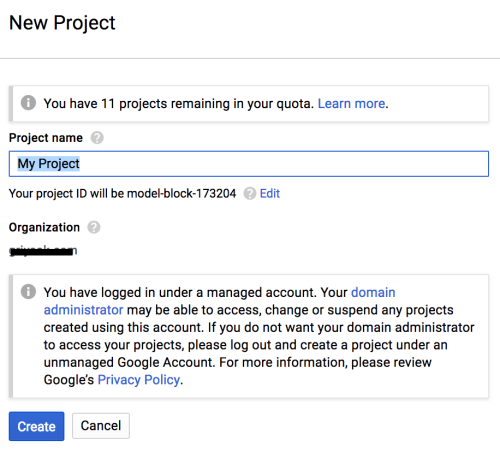 In google cloud every instance belongs to a project, to create a new project just click on create button. Type your project name and pay attention to which organisation your project will be registered. 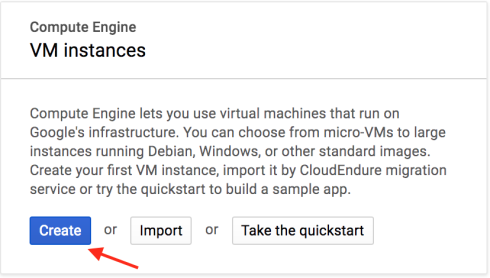 If this is your first time login to Google Cloud console and you already subscribe to Google Cloud free tier program then you will have a default project created automatically. You can use this project instead of creating a new one. We are going to launch a virtual machine (also known as instance) to running our NodeJS application, this machine is fully controllable by us so we can choose every properties that we want like number of cpu, memory, disk size, etc. At project’s dashboard expand the left menu then choose Compute Engine > VM Instances. It may take minutes to get Google Compute Engine is ready, when it was ready click on create button. Name. 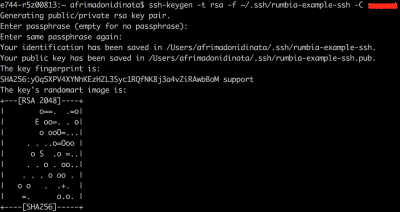 Fill it with your machine’s name, in this example I’ll give it name ‘rumbia-example-instance’. Zone. Select to which zone your instance will be available, the zone determine what computing resources are available and where your data is store. For now I’ll select ‘us-central1-c’ which is physically located in United States. For further reading about zone please click here. Machine Type. This option is to choose what type of machine you want to have, you can select a pre-defined machine type or build your custom machine. Every machine type’s has different cost regarding resource that attached to it, you can see the cost estimation on the right to help you choose wisely. Boot Disk. Boot disk determine which operating system or application image that your machine will running on. If you select ‘OS Images’ boot disk Google Cloud offer two kind of disk: standard and SSD. In this example I’ll use ‘Debian GNU/Linux 8 (jessie)’ OS image. Identity and API Access. 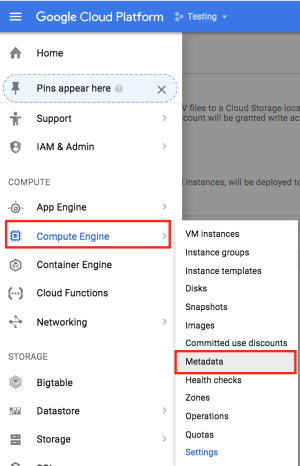 Select service account you want to use to call Google Cloud API’s and set level permission for it. Firewall. Set which incoming traffic is allowed to your machine, you can allow either HTTP traffic or HTTPS traffic or two of them. If you need more configuration for your machine click on Management, disks, networking, SSH keys link at the bottom to expand the form. 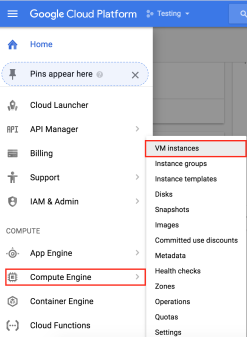 Once your instance created you will see it has IP public assigned automatically, this IP given by Google Cloud so we can access our machine from the internet. If you haven’t sign up for free trial yet then you may see a notification “Sign up for the free trial to start using Compute Engine”, just click on the sign up for a free trial button and follow the instruction. replace [USERNAME] with your google username. Expand the left menu then choose Compute Engine > Metadata. After the page already opened, click tab SSH Keys then click edit so you can modify the public ssh keys in your project. Copy the output from the cat command and paste it as a new item in the list of SSH keys, to make the text area enabled you must click on Add item button first, don’t forget to click save button after that. Run the following command to connect to instance using your generated private key.